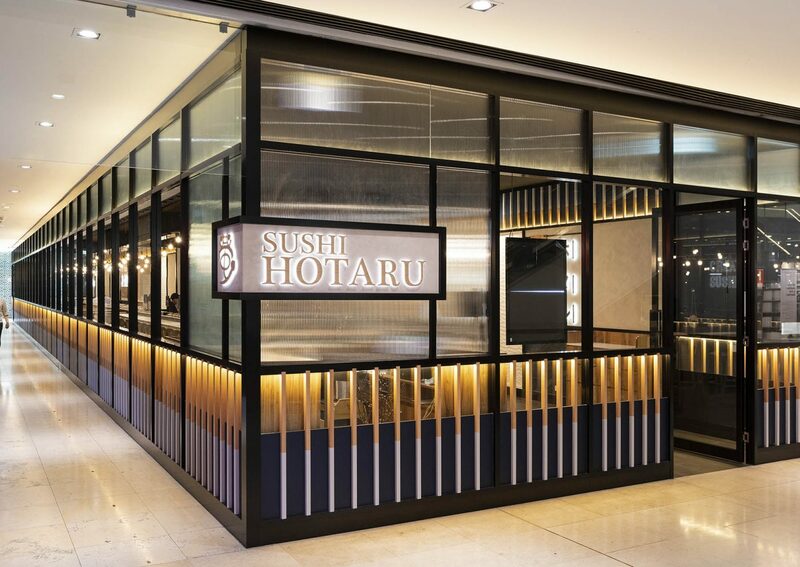 Sushi Hotaru is an existing sushi train restaurant located in The Galeries building in Townhall, Sydney CBD. 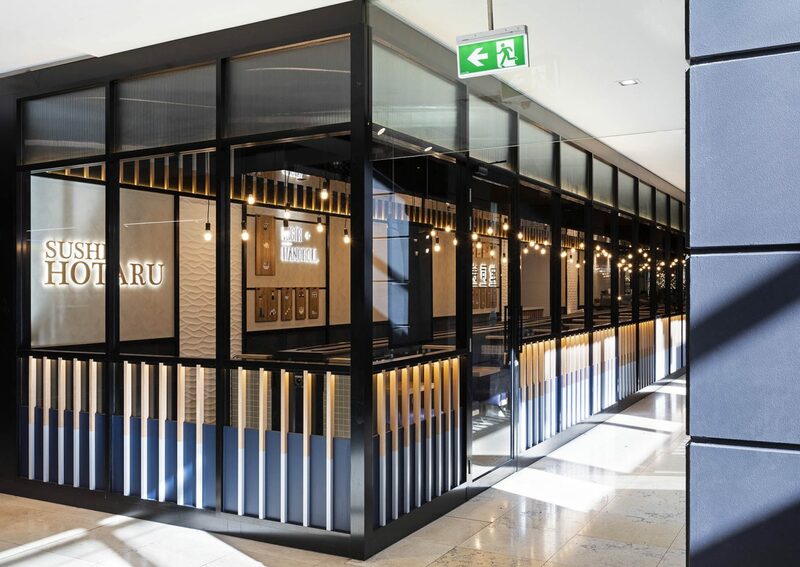 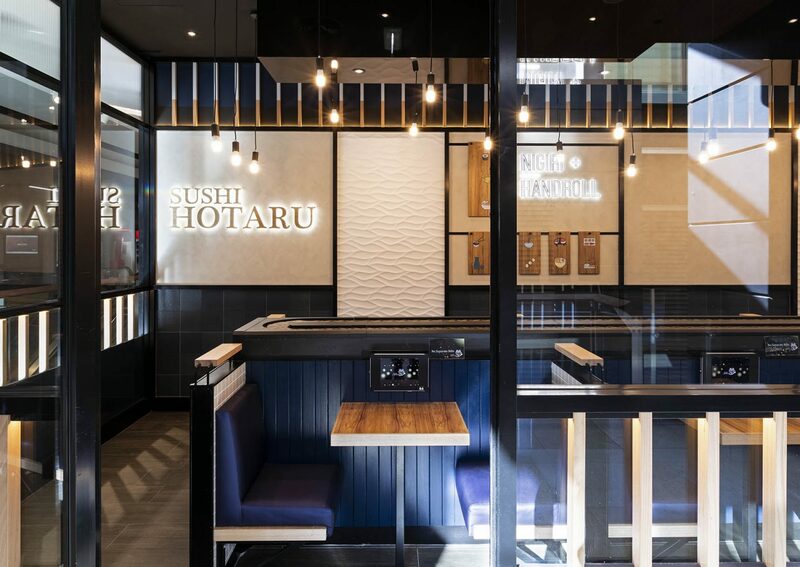 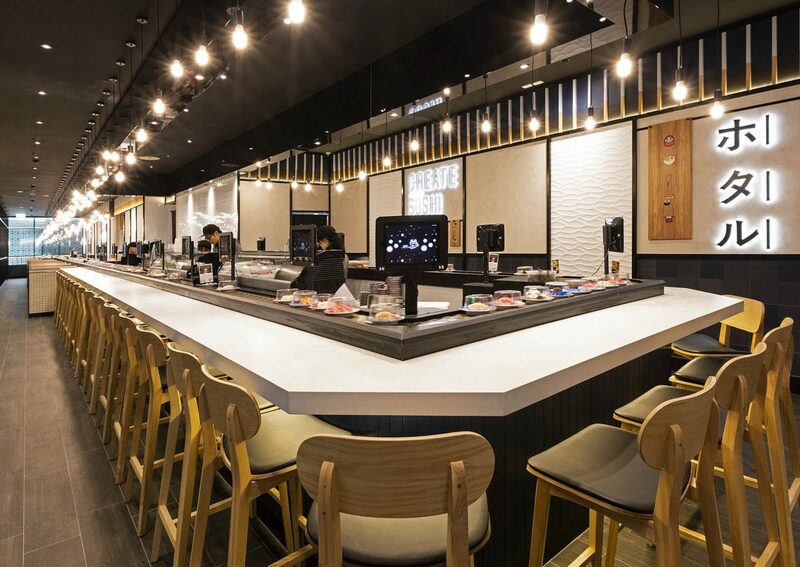 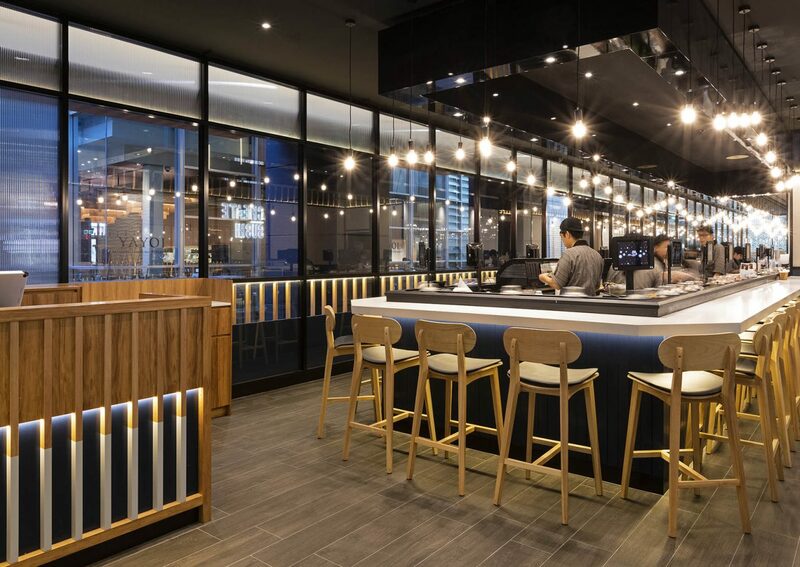 As it has established itself as a popular Japanese restaurant amongst locals and visitors alike, Sushi Hotaru has undergone a facelift to cater for its evolving clientele adapting to the ever- changing design scene of Sydney. 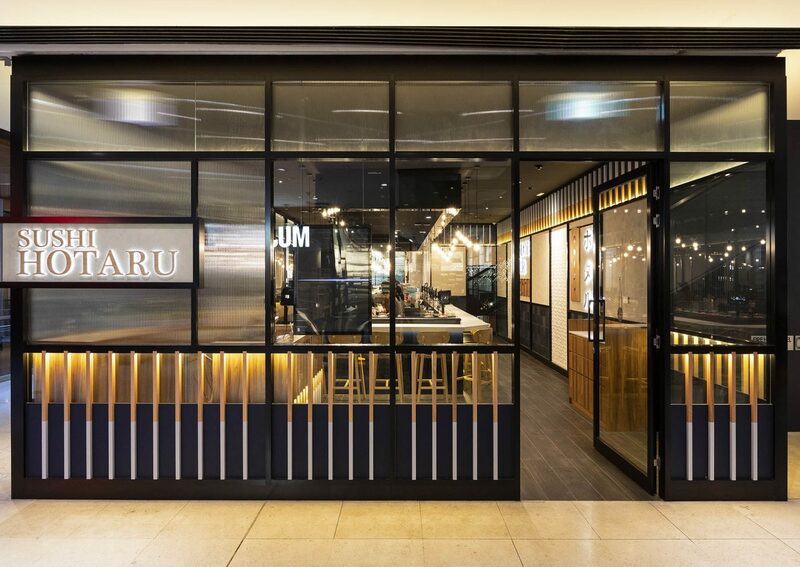 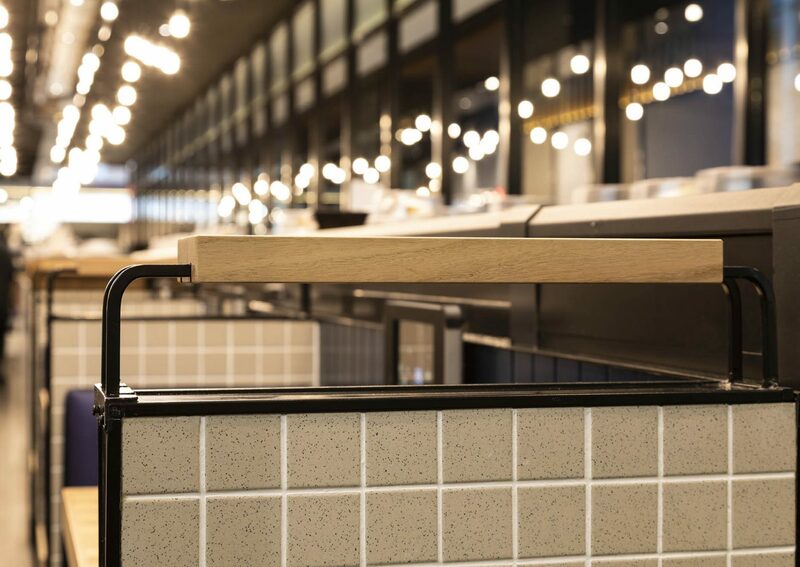 The design for Sushi Hotaru has adopted the style of a casual canteen eatery with a refined industrial style. 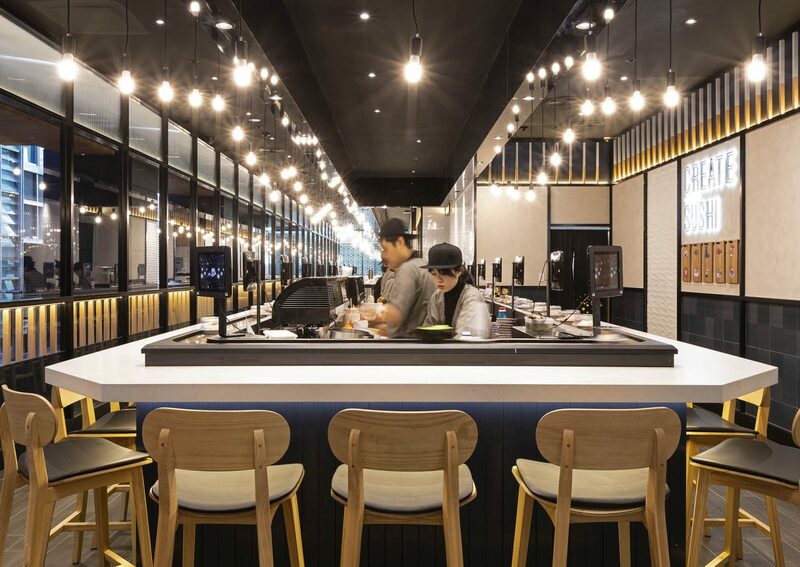 Within the refined and limited space, a neutral palette has been used as a backdrop with contrasting black highlights to feature elements within the space. 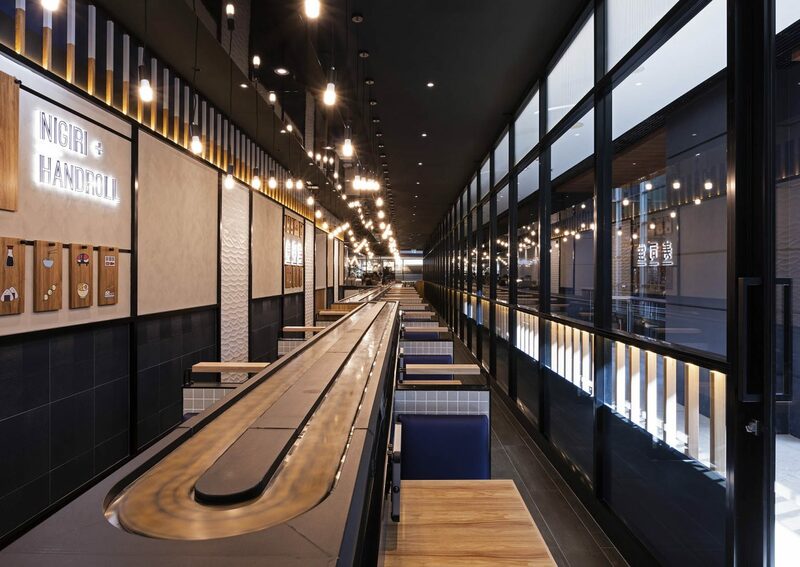 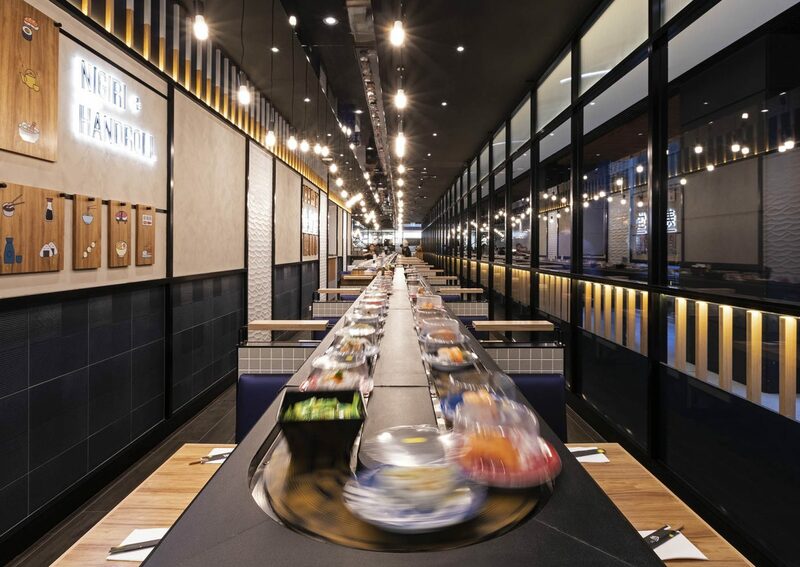 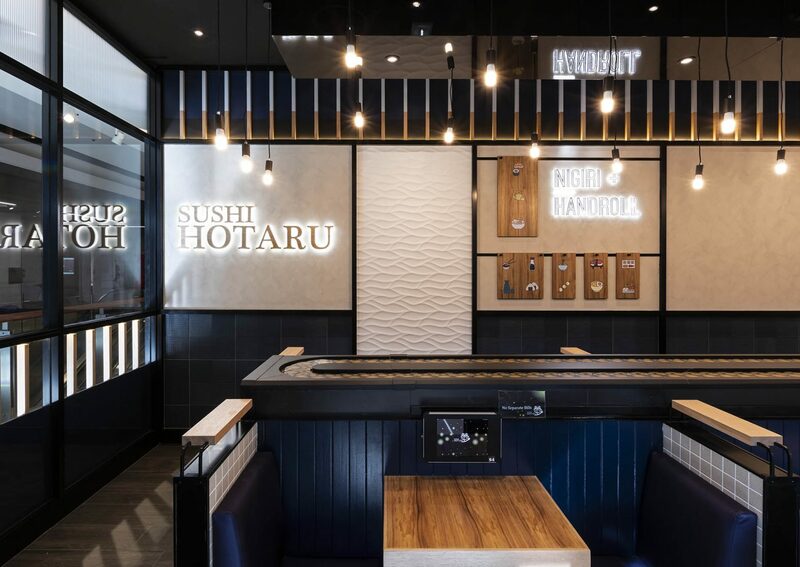 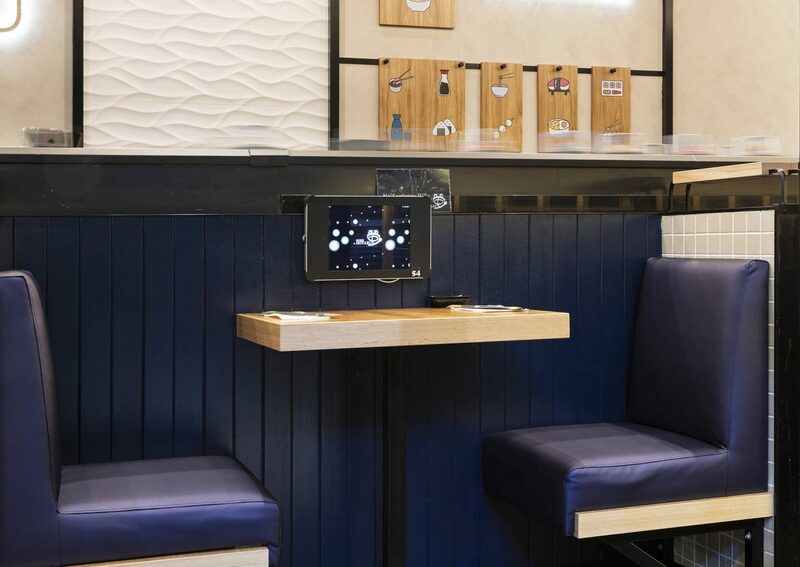 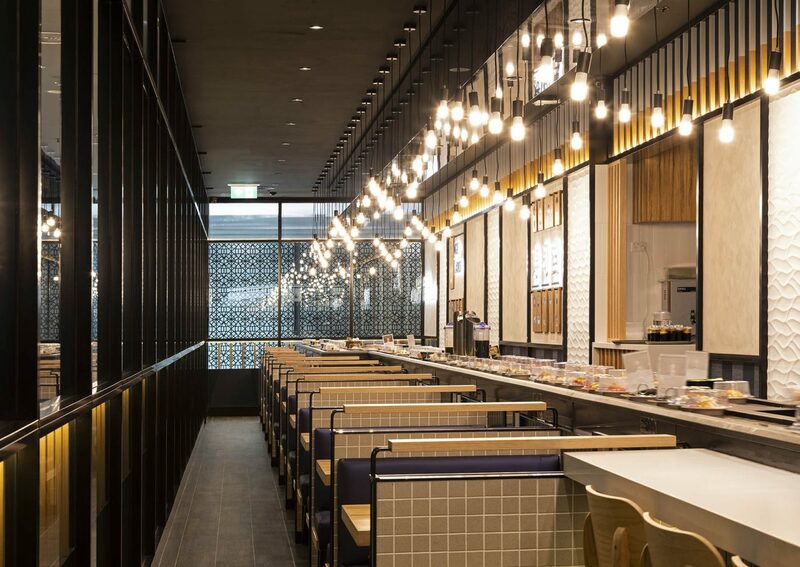 Different textures on the walls and surfaces have provided complexity within the space without obstruction and the hanging light feature that runs along the sushi train was adopted by the term Hotaru which means “firefly”. 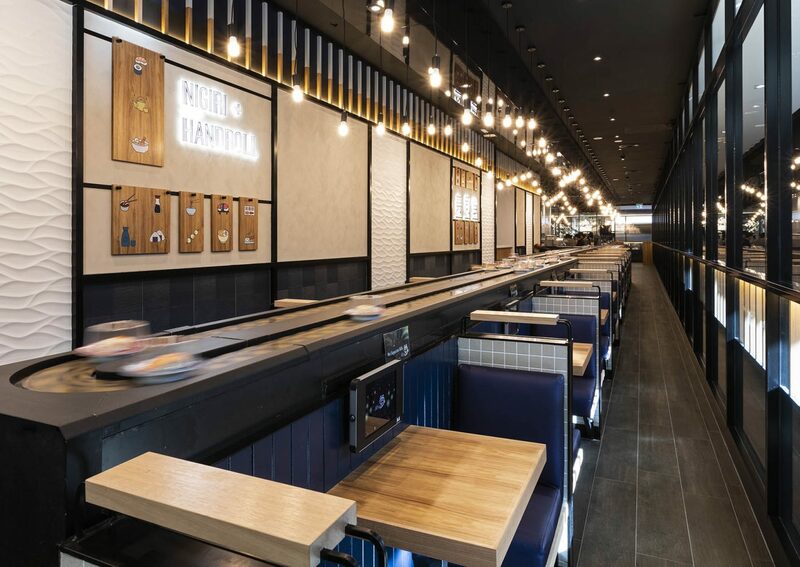 An array of Japanese graphics and neon signages has also been installed to craft some playful vibe within the hustle and bustling city centre.